The Super Bowl set up a pretty phenomenal pop-culture week, with its satisfying ending for anyone who loves high drama but its very unsatisfying ending for those who still retained a glimpse of hope that the Steelers would remain the greatest football franchise of all time instead of the Patriots. It was the rare event that brings the nation together in a common conversation, like All in the Family and, to a lesser extent, Seinfeld, used to do. My favorite magazine read of the week was "The Social Medium is the Message" in WIRED's special section of the 49 trends that will shape the very near future. It looked at how we need to seriously re-examine our Facebook and Twitter use. In a country still tragically lacking in media literacy (how we use and can understand media), Marshall McLuhan would have recognized Donald Trump's Twitter propaganda as eerily similar to how fascist leaders of the 1940s spoke to their citizens. Further, he would have recognized how our avalanche of information and misinformation (heavy thanks to social media) could foster fear and anger about the world. Another example of how our society has gone from major to meta is Archie Andrews. Long ago, every kids read the comic-book in the newspaper or watched him on TV, but nowadays, he's just another of the many dozens of shows that premier each week. But man is Riverdale a good one, and it is my favorite TV show of the week. 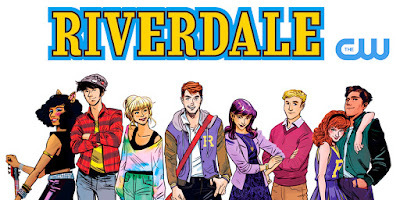 It takes Archie, Betty, Veronica, Jughead, and all the other players to deep, dark places in ways the comic books never did. It's like a new remake of 90210, but only much better than that recent semi-fiasco and much more suspenseful. Ryan Reynolds continues to underwhelm me, after a promising early career. 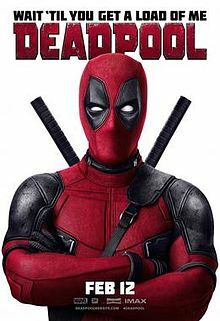 I know he's sort of like the Tom Brady of actors to many people and Deadpool is like the Superhero Super Bowl to some, and I appreciated it's yearning to be a different, more adult version of a superhero movie. But it's just too winking-nudge-nudge-hipster for my tastes. There are some fun scenes, but Deadpool is the most boring movie of the week. Cool-looking Spider Man-looking knock off though. 2.5 out of 5 stars. "New services are moving fast, and cities are looking to update procurement processes to keep up." It could definitely make the ears of government groupies pop up. And finally, now that football is over, the world of college basketball is starting to seriously heat up. It continued to be a rough year using my season tickets to Georgetown games. In what often seems like a talented team with Coach John Thompson III not necessarily all there, the Hoyas at least had a little fight in losing at home in overtime to Seton Hall and then on the road to #2 Villanova. My teams completed the win-challenged week with North Carolina barely losing at Duke. Photography Services in Dubai Thanks for the blog article.Really looking forward to read more. Cool.